The Conservative leader in the Senate is distancing himself from Sen. Lynn Beyak's latest comments about Indigenous people, and is now taking steps to address her role in the caucus. 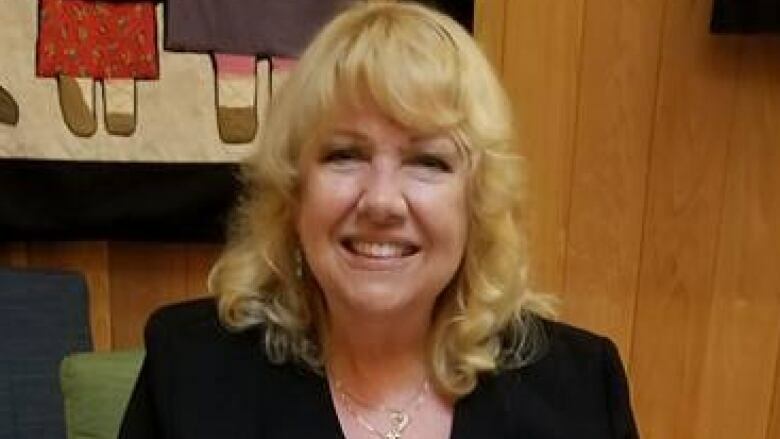 Facing possible sanctions by her own caucus, and calls for her resignation by the mayor of Winnipeg, Sen. Lynn Beyak has responded to the backlash over her latest comments about First Nations people and residential schools. The Conservative leader in the Senate, Larry Smith, is also now distancing himself from the Tory senator, and is taking steps to address her continued role in the caucus. "The personal opinions expressed by Sen. Lynn Beyak do not reflect the positions of the Senate Conservative caucus. Accordingly, we have taken additional steps to address Sen. Beyak's ongoing role within our caucus," Smith said in a statement. When asked for clarity on what exactly those promised next steps would be, Smith's office said it had no further comment at this time. A spokesperson for Conservative Leader Andrew Scheer said Smith's statement on the issue stands. Beyak, appointed by former prime minister Stephen Harper in 2013, has been a source of controversy after she made comments earlier this year defending aspects of the Indian residential school system. In an open letter recently published on her Senate website, the northwestern Ontario senator said she now believes First Nations people should give up their Indigenous rights and become Canadian citizens. Beyak did not respond to an interview request from CBC News earlier this week. But in another open letter sent to the parliamentary press gallery Thursday, Beyak addressed CBC News by name in responding to a story about her latest comments. "[The CBC reporter] forgot to mention an important paragraph where I clearly stated that victims of the residential schools should be compensated immediately. I continue to advocate for them often and wonder what is taking so long. As stated in my letter, the dollars are going to lawyers and red tape obstacles instead of the deserving individuals," she wrote. "What we have been doing is obviously not working, spending billions of dollars annually, yet filthy water and inadequate housing [are] still a reality on too many reserves," Beyak wrote. The Indian Residential Schools Settlement Agreement (IRSSA), a deal reached by the former Harper government with some 80,000 Indigenous people who attended the schools, did provide financial compensation for the pain and suffering the system inflicted on many of its pupils. The financial payout was accompanied by a landmark apology by Harper in the House of Commons. As of September 2017, more than $3.1 billion has been paid to former students. According to the Indian Residential Schools Adjudication Secretariat, 98 per cent of all claims have been resolved. "We continue to work diligently to find a fair resolution to the rest," James Fitz-Morris, a spokesperson for the minister, said Thursday. 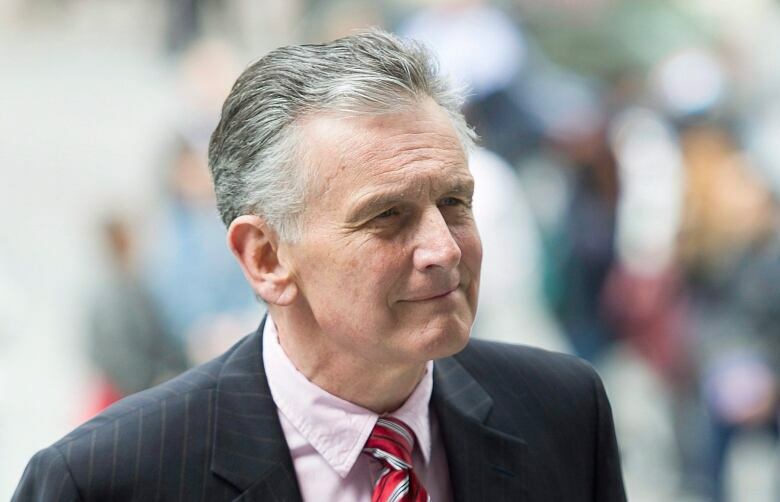 Smith's newly appointed chief of staff, Stephen Kelly, worked with the late Jim Prentice when he was the minister of Aboriginal affairs in the Harper era. Kelly served as a senior policy adviser and followed Prentice to Industry and Environment Canada when he was subsequently shuffled in cabinet. Prentice, who died in a plane crash in 2016, was active on the residential school file while in office, and signed off on the final compensation agreement with survivors. Prentice worked as a constitutional adviser in South Africa at the end of apartheid and also championed the creation of the Truth and Reconciliation Commission (TRC), which would go on to conduct an exhaustive six-year study of the residential school system and its lasting impact on Indigenous communities. Beyak has said the TRC did not "shed any new light" on Indigenous issues. As of Thursday afternoon, Beyak was still listed as a Conservative senator on the Senate's website. Smith could yet strip Beyak of all her Senate committee duties — she is a member of the Senate's defence, agriculture and transport committees — or remove her from the caucus outright. Former interim Conservative leader Rona Ambrose had already removed Beyak from the Senate's Aboriginal Peoples committee after she doubled down on her rosy depiction of residential schools and lamented the TRC did not "focus on the good." In revisiting her previous remarks this week, Beyak said she stood by her claim that history has been far too unkind to the residential school system. "A small number of Aboriginals found the schools bad," she wrote. "Only one in three Indigenous children ever attended them. Very few were torn from their parents' arms, but rather were enrolled by loving parents who were away trapping and trading for months on end." Thousands are believed to have died at the schools, and thousands of others reported physical and sexual abuse. 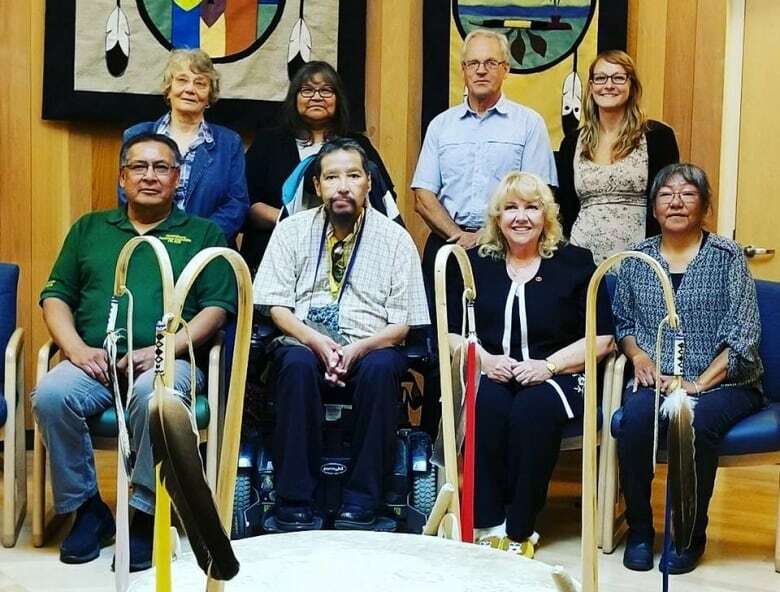 Beyak has also expressed frustration with the current state of Indigenous relations, calling on First Nations people to drop long-standing grievances and integrate into the larger Canadian society. "Trade your status card for a Canadian citizenship, with a fair and negotiated payout to each Indigenous man, woman and child in Canada, to settle all the outstanding land claims and treaties, and move forward together just like the leaders already do in Ottawa," she said. "None of us are leaving, so let's stop the guilt and blame and find a way to live together and share," she wrote. "All Canadians are then free to preserve their cultures in their own communities, on their own time, with their own dime." Sen. Lillian Dyck, the Liberal chair of the Aboriginal Peoples committee, said she is exasperated with Beyak's continued promotion of an antiquated view of Indigenous relations. "The more I read her letter, the more upsetting it is," Dyck said in an interview. "She's in a very solid state of denial, and it's bordering on racism." "Who the heck does she think she is telling First Nations people what to do? Telling us what is good for us — 'Trust me, I know' — that's absolutely the epitome of colonial thinking," said Dyck, who is a Cree from Gordon First Nation. "This is how we got into this mess. She's using her Senate seat to voice opinions that are really off the wall. Should I go and tell her to give up her Canadian citizenship?" Beyak's comments also prompted Mayor Brian Bowman of Winnipeg to call on the Tory senator to resign her seat in the Red Chamber. "A Canadian senator should know who Canadian citizens are," he tweeted Thursday with the hashtags "make it awkward" and "resign." "We've got Indigenous and non-Indigenous community members working very hard at reconciliation and when you have a member of the Canadian Senate make public statements like that, on the record, they're terribly damaging to our reconciliation efforts," he said. The article by CBCs John Paul Tasker is interesting but he focused on only one part of my letter. He forgot to mention an important paragraph where I clearly stated that victims of the residential schools should be compensated immediately. I continue to advocate for them often and wonder what is taking so long. As stated in my letter, the dollars are going to lawyers and red tape obstacles instead of the deserving individuals. He also neglected to mention that the paragraph in my letter on status, Canadian citizenship and negotiated monetary payouts to individuals referred to the 1969 P.E. Trudeau White Paper and link. I believe that it is brilliant and could form part of a path forward today, but I cannot take the credit for it. Other suggestions and solutions for moving forward in a positive way came through support letters from Indigenous and non-Indigenous people from coast to coast. A vast majority of Canadians are wise and well informed with compassionate hearts and common sense. They want a real solution to a decades old situation. What we have been doing is obviously not working, spending billions of dollars annually, yet filthy water and inadequate housing still a reality on too many reserves. The goal is for everyone involved to work together on a fresh approach, so those valuable taxpayer dollars go directly toward fixing the problems for the grass roots bands and people themselves, and not to another ministry and the bloated bureaucracy and government it creates in Ottawa. Let's all get together and be a whole country. Where we all have a voice to better our country, not condemn it.